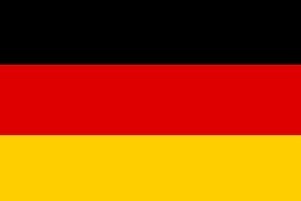 South African exporters should take advantage of new initiatives introduced by Germany. South Africa’s Foreign Economic Representative in Germany, Jacob Moatshe, urged local companies to take advantage of new initiatives which the western European country has introduced for Africa. The initiatives are geared towards stimulating business, trade and economic development. This as local companies through the Department of Trade and Industry (dti) are participating in the Fruit Logistica Trade Fair in the capital Berlin. Speaking at the official launch of the South African pavilion at the fair which got underway on Wednesday, Moatshe said South Africa is the largest and most strategic partner through which various German companies can expand into the African region. “The biggest challenge for ourselves is to optimally utilise some of these initiatives that Germany has established for our benefit,” said Moatshe also referring to the ‘Marshall Plan with Africa’ which highlights the objectives of increasing trade and development on the continent. This year’s three-day showcase follows on the heels of a successful showing last year. At last year’s event, the South African pavilion raked in more than R372 million in export sales and secured almost 100 trade leads.